We love our pets but sometimes accidents happen. Here’s how to clean up and eliminate the smell. 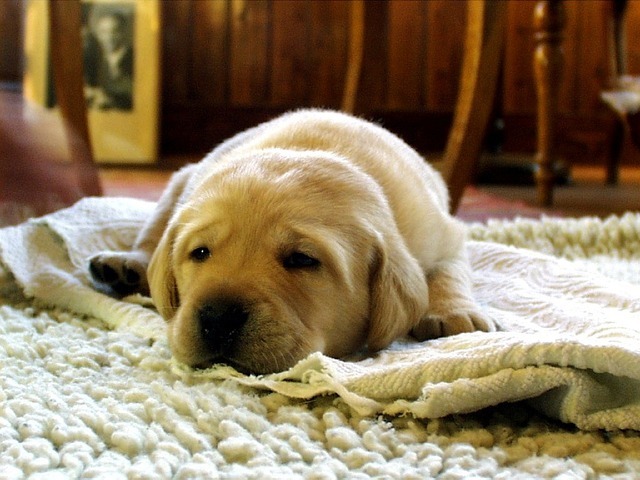 While your rug might be one of your most prized possession in your home, nothing can replace your pet. However, sometimes accidents can happen. Animals that are not yet house broken and older pets tend to have more accidents than most animals. But all pets can have an indoor accident now and then. However, you don’t need to choose between your rugs and the company of your pet. Join us as we discuss removing pet stains, eliminating odour and, hopefully, how to prevent future accidents. 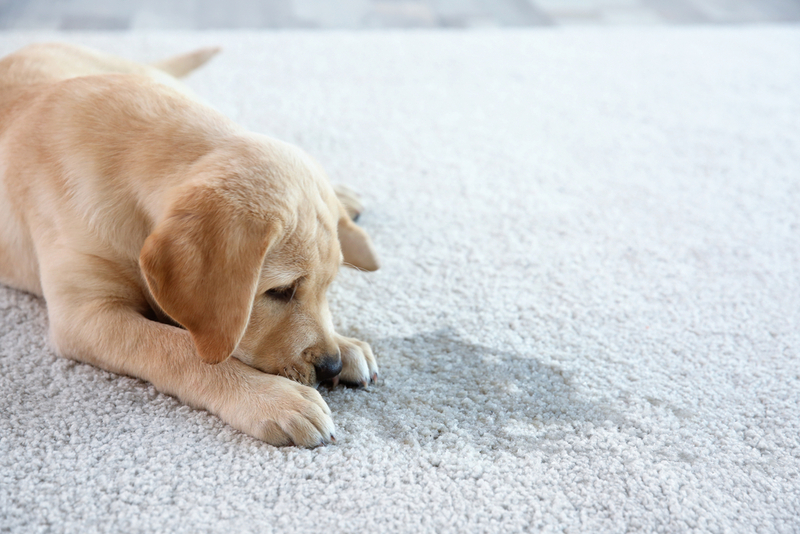 If you’ve just caught your pet after they’ve just had an accident on your rug, you can act quickly to prevent excessive staining occurring. Bloat the urine with paper towel. If possible, place towel above the stain on the rug and below as well. Don’t rub or scrub at the area but tap or bloat. You can also apply pressure by standing on the paper towel. Continue bloating until the urine patch is barely damp. You can use water to try and bloat the area but use the sparingly. The water may cause the urine to dilute and spread further across the rug. Do not use any chemical cleaners or try to scrub at the fibres with a sponge or brush. This can not only damage the fibres of your rug, it can also cause the urine to set into the rug. As a result, it can make it impossible to remove. Further, adding other chemicals to the urine stain can change the chemical make up of the stain. This also makes it difficult or impossible to remove. You should then take your rug to a professional cleaner as soon as possible (the same day or next day) to be treated and cleaned before the stain and odour set in the rug. Set in stains can be the most difficult and more often than not, impossible, to remove pet stains. This is due to the fact that the ammonia has set into the fibres of the rug, permanently discolouring them. It also means that the scent might not be removable, either. It is very important to not use chemical cleaners on these stains as these chemicals often also use ammonia which will only make the problem worse. Further, using more ammonia in an area can encourage your pet to return and use that spot again. A professional cleaner maybe able to help you lessen or remove the smell from your rug but you may have to live with a discoloured rug. Or, if the rug was cheap, simply replace the rug altogether. Unfortunately, not even professional rug cleaning can remove all stains. The ammonia in urine is extremely potent and damaging at the best of times. However, it can be exacerbated for a number of reasons. Firstly, the introduction of other chemicals, such as household cleaners, can change the chemical make up of the urine. This can make the proprietary cleaning compounds, used by professional cleaners, ineffective. Secondly, stains that are left to sit too long in the fibres of a rug can set in. Not only does this damage the rug fibres but it can also affect and damage the dyes in the rug making the unstable. As a result, this can make cleaning difficult, if not impossible, without causing further damage to the rug. Further, because the stain and ammonia set into the rug, the both the discolouration and smell will become almost impossible to remove. This is why it is highly important to ensure you have your rug cleaned as soon as possible after your pet has an accident. Finally, pet food contains a number of food dyes and colouring agents. This enters the pet’s digestive system and affects their urine. This, in turn, affects the stain on your rug. Not only does a professional cleaner have to deal with the damage done by ammonia, they also have to work with the discolouration caused by these food dyes. 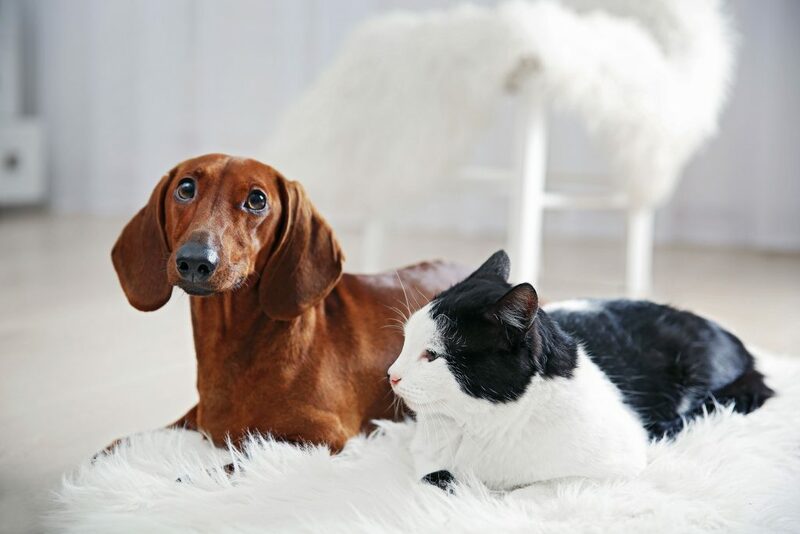 Depending on the type and quality of food your pet is eating, it might not be possible to remove this discolouration from your rug, especially from delicate fibres. Once you have dealt with your rug, it is important to make it unattractive to your pet. This includes ensuring it has been professionally cleaned so it no longer smells attractive to your pet. Your pet should no longer be able to smell their own urine scent, otherwise they will return to that spot in the future. If your pet is younger, keep in mind that this is part of the house breaking process and remember to be more observant in the future for warning signs that your pet needs to be let outside or walked. This is also true of older or house broken pets who may have been inside a long time and have been giving you signals that you missed or ignored. If you have an older pet and this is an unusual incident for them, try taking them to the vet and checking that there are no medical causes for the accident. But if your pet is healthy, then try to reinforce your training with positive reinforcement so they return to eliminating in the right place or give you the correct signals. If you have a rug that needs cleaning, contact Wood Rug Laundry today to book your rug in for a convenient pick up and cleaning service.